I am a very lucky girl. I have friends who own a home in Sea Ranch, California, and they allow me to use it on occasion. I am a very lucky girl! 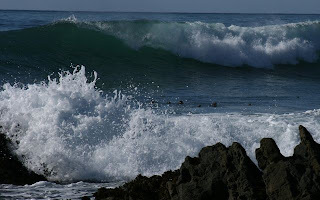 Sea Ranch is the ultimate in California planned communities. Snuggled into the hills and rolling to the beaches of Northern California's coastline, the community has strict building guidelines and a high price tag which has severely restricted development. Accessibility also has kept Sea Ranch small; it is nearly 4 hours from Sacramento (3.5 from San Francisco) much of which must be driven on Highway 1. This is not a highway for the faint of heart -- or for those who get carsick. Architecturally, the town is interesting. Founded in the 1960s, it was intended to be an environmentally responsible and sustainable community. Over time, the homes that have been built have trended larger and larger, and the aesthetic has evolved, but as a planned community, it is an interesting place to visit. My husband, the architect, studied it in graduate school, and we play "Name That Decade" as we wander through the community trying to pin each building to its particular time period. Many of the homes in Sea Ranch are available for rent (including my friend's home which sleeps 10 people). 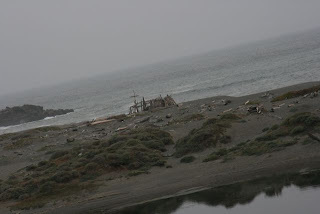 The weather can be bracing as the wind whips in over the ocean or the fog descends on the coast. 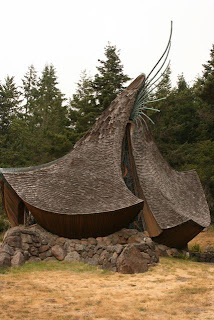 But when the temperatures in Sacramento soar to 115 degrees... well, Sea Ranch looks like paradise. 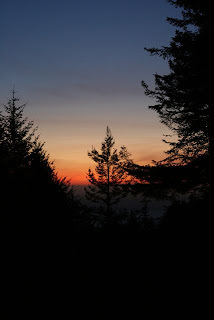 Light a fire, cozy up with a book, or take a hike through the redwoods. The beaches are generally deserted. The sunsets are spectacular. 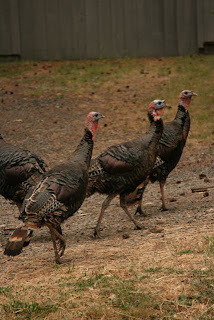 And the wild turkeys are fantastic entertainment! 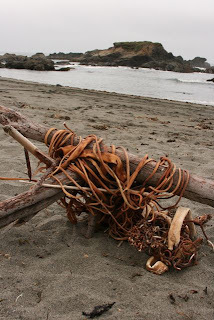 The closest town to Sea Ranch is Gualala -- just north on Highway 1. Here you will find charming restaurants, fishing licenses, a good little grocery, and a few small shops. We generally bring a cooler of necessities from home for breakfast and lunch, but we treat ourselves to dinner out most evenings. That said, we don't always follow our own rules. All are located on Highway 1 in Gualala. 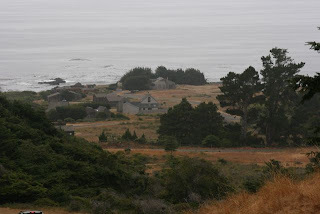 If you are planning a trip to Northern California, Sea Ranch is a lovely place to stay. And if you are visiting from DeliciousBaby.com's Photo Friday , welcome! It looks like a fabulous place to visit. Wild turkeys....YIKES!!!! Ah, I need a beach house. This place looks like a great place to relax. And what is is it with the wild turkeys in California? I pass two big groups of them on the way to work every morning. Thanks for tips on places to eat, I always appreciate those when I go someplace new. What a great spot for a minibreak! 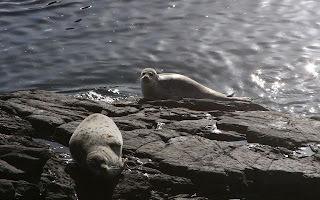 My kids would love to see those seals. it looks fantastic there, angela. i want to go!! Did you actually take all these stunning photos, Angela? Wow. That's all I can say. Wow. Beautiful photos, Angela! I always loved visiting Northern CA whenever I could. Highway 1 is such a delight to drive on. Great post, Angela. Absolutely beautiful photos! Yes it is a beautiful part of the California coast isn't it? I have been there. Thanks for transporting me down memory lane! What an intriguing place! It's been years since I've been out to California. We've got wild turkeys in northern Michigan as well. Just last week, I stopped by the roadside and took a few shots of the birds just as they crossed the road. Yes you are a lucky girl! Great shots, it makes me want to visit!